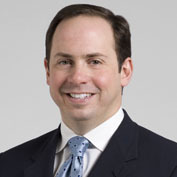 James Merlino, MD, is Associate Chief of Staff of the Cleveland Clinic health system, as well as a practicing staff colorectal surgeon in the Digestive Disease Institute. He is the founder and current president of the Association for Patient Experience. As a member of the Clinic’s executive team, he leads initiatives to improve the patient experience across the Cleveland Clinic Health System. In addition he leads efforts to improve physician-patient communication, patient access, and referring physician relations. Partnering with key members of the Clinic leadership team, he helps to improve communication with physicians and employees, and to drive employee engagement strategies. Dr. Merlino was named to HealthLeaders magazine’s 2013 list of “20 people who make healthcare better;” he is a recognized world leader in the emerging field of patient experience.